Before she lived in the UK, one of the many jobs my wife had was designing coin-operated arcade games. As you might imagine, there are some types of game that are peculiar to certain countries or regions. For example, mah jong (real mah jong, not the tile-matching stuff) games are very popular in China and Japan and there have been hundreds of such games produced over the years. 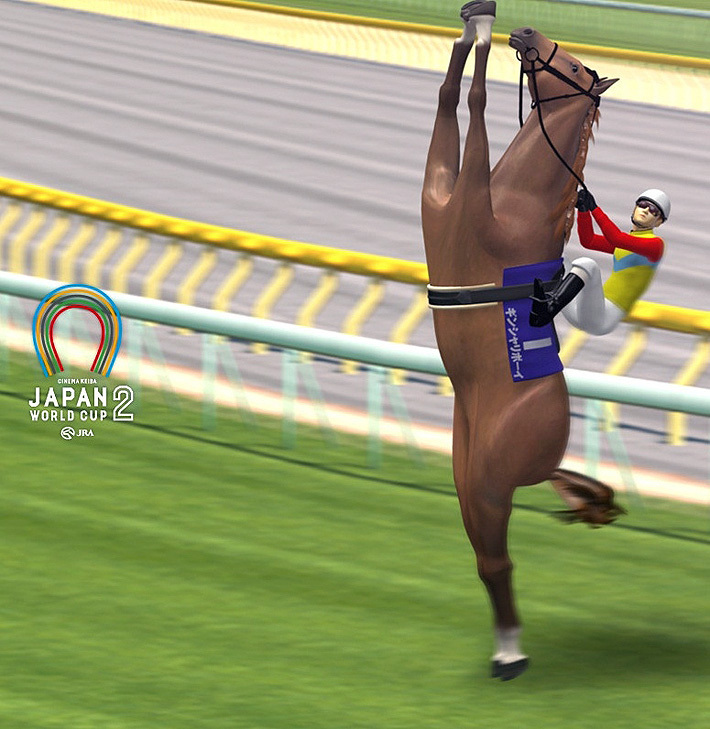 One type of game that is oddly popular in the region is that of the horse racing simulator. To me, these have always seemed the dullest of games. Most of them are as exciting as picking a number between one and five and waiting 30 seconds to see if you're right and yet these games have been popular for many years. In recent years, attempts have been made to make the games more interesting and also to create a form that can be played on home consoles and computers. After a number of hit and miss titles over the years, the genre has been revitalised at the hands of Riichiro Mashima. I first became aware of his work when he created a number of ski jumping clips for a video by girl duo Halcali. These clips were adapted from his hit pachinko game Ski Jumping Pairs. Now that he's taking on horse racing, Riichiro Mashima has brought his sense of humour with him and has managed to create a hit series of horse racing games that barely even feature any horses. There's even a thread on Reddit talking about it and explaining how to play (seeing as the website's entirely in Japanese). Let me know if you figure it out! What's that you say? Could I finish this article off with another fabulous Halcali video? Probably. No one can explain the bond humans have had with horses through the centuries or the dedication of individuals in cases like those mentioned above. Get Horseracing Results by clicking the link.